A small mod pack for Minecraft Pocket Edition (Bedrock) containing 3 good modifications. 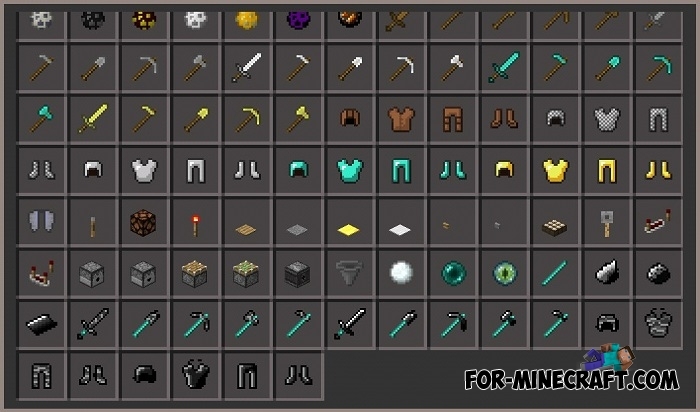 This pack can be useful to miners or those who use a pick often than other tools. All mods are compatible with each other and do not bug. 1) The first mod from this small collection extends the bedrock's capabilities. Now you can craft weapons, armor and tools from this solid block. Accordingly, bedrock tools are very durable and are adapted for unremitting extraction of resources. 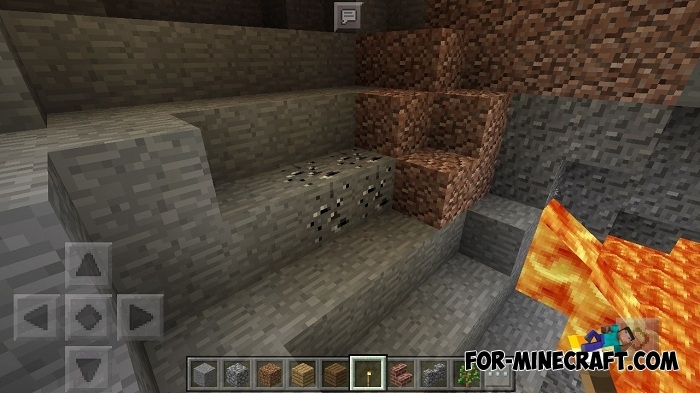 2) The second mod adds a new type of ore - an experience ore. Instead of killing mobs, you can break this block generated underground and gain a certain amount of experience. 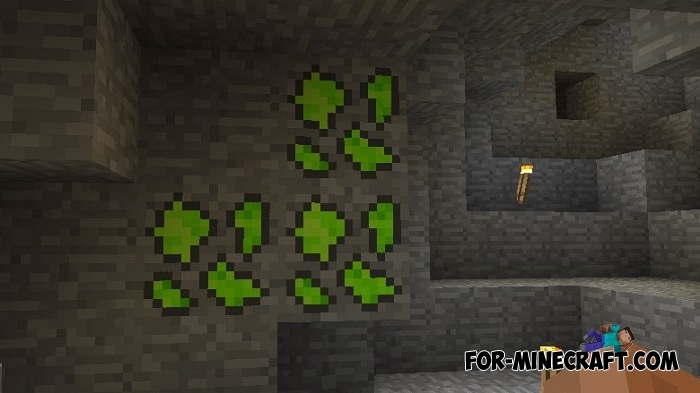 Experience ore has a stone texture with green impregnations. 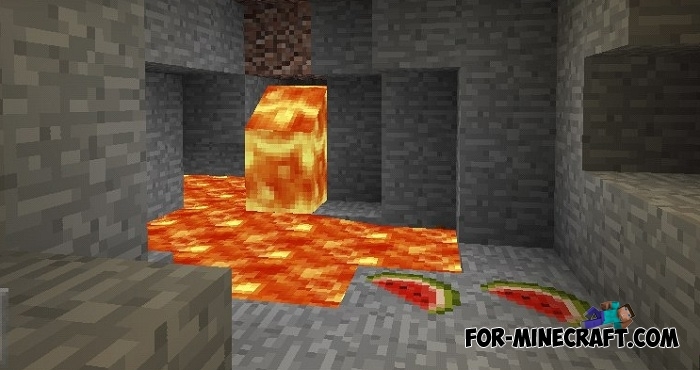 3) The third mod also adds a new type of ore to lazy players. 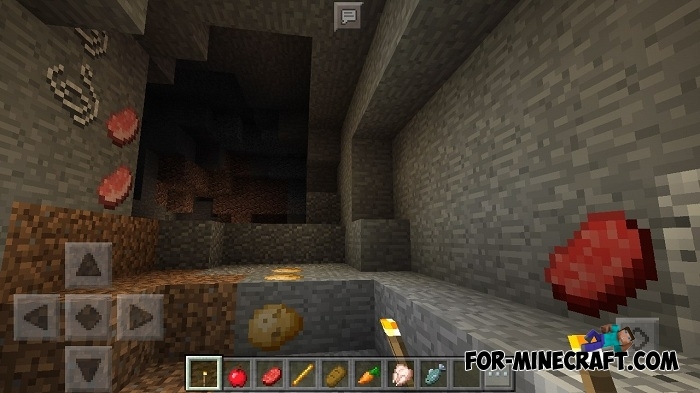 Working in the mine, you will certainly be hungry and food ore will come to your aid. You immediately determine the type of food and can easily get it. Food ore restores health as well as usual one. How to install the Miners' Modpack?